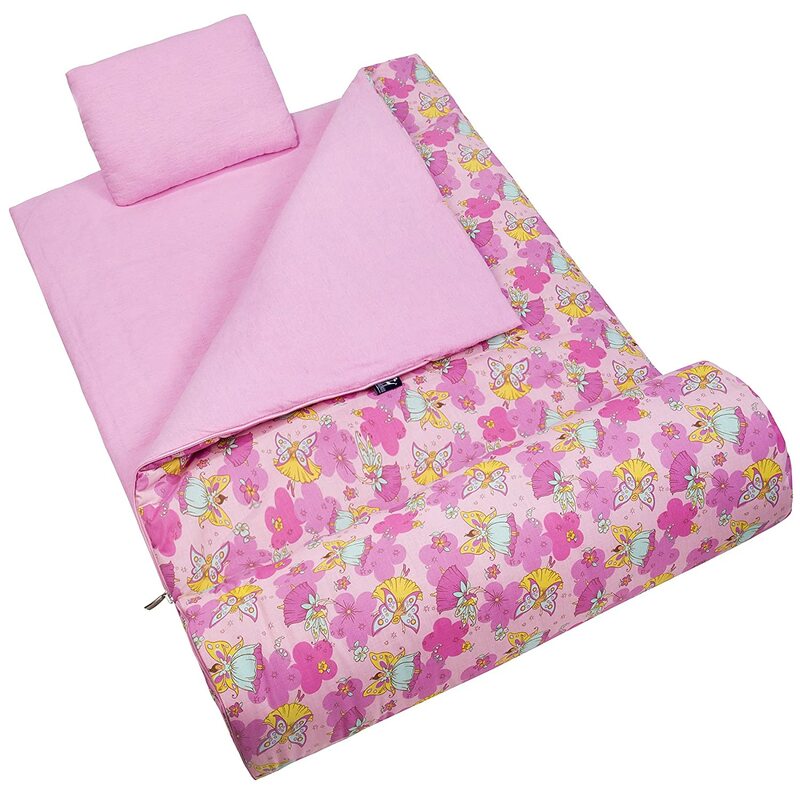 Childrens Indoor Sleeping Bags With Pillow are highly important as lack of adequate rest or sleep can affect the physical growth of your child. 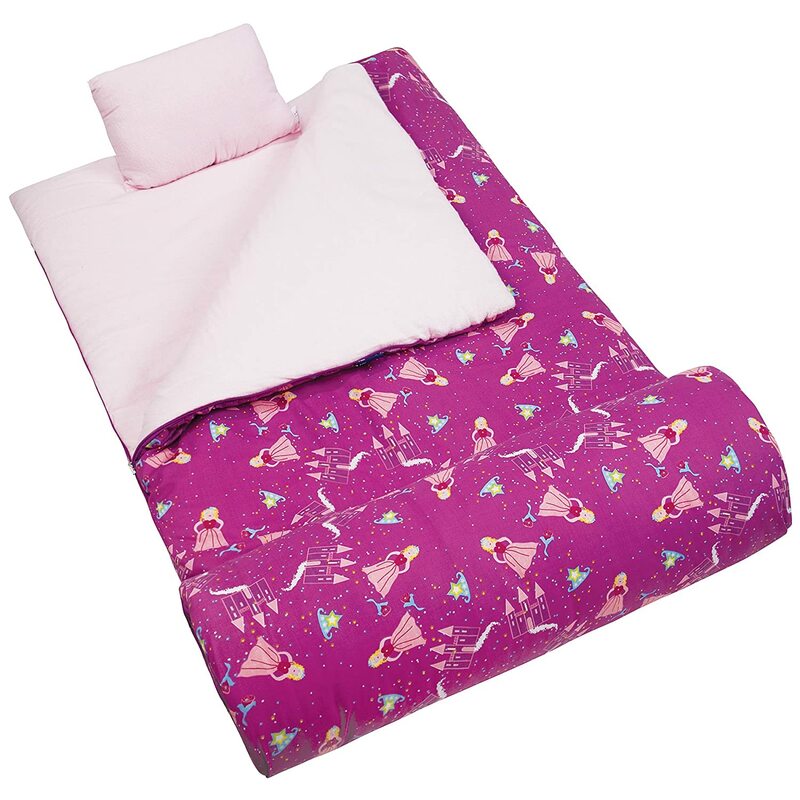 Children can use them in indoor campsites and they can also snuggle in them while watching television at home. Some can be used on top of their beds and they can also be used during nap time in day care centers instead of floor mats. It is important to ensure that your toddlers have settled comfortably at night or during daytime in a dry, warm, and safe environment. When it is cold at night, your child should dress in wearable fleece blankets or sleep gowns in order to keep warm. 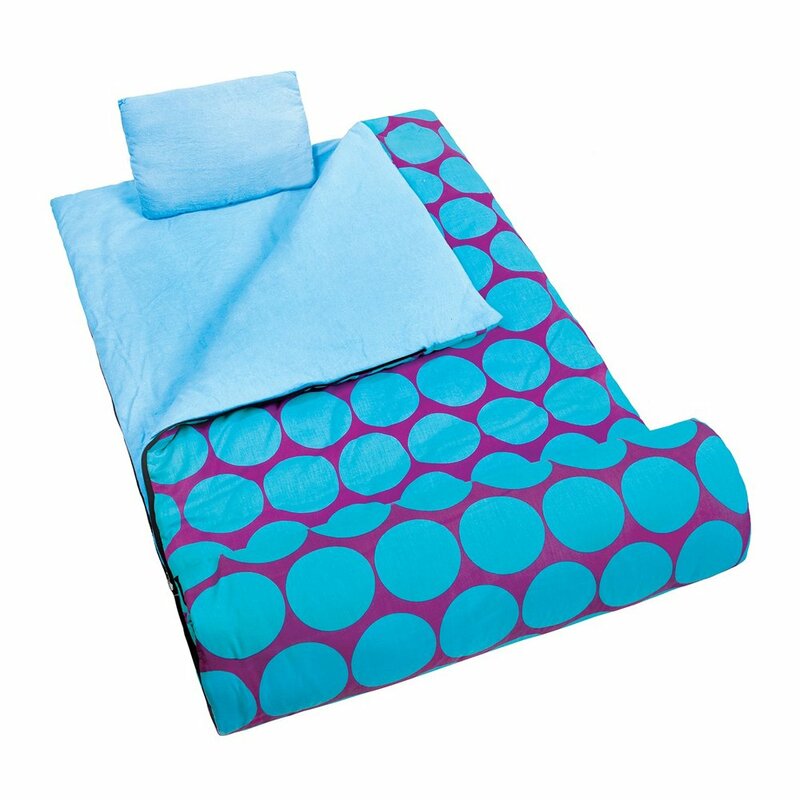 These slumber bags are ideal when traveling, during nap time or even sleepovers. They are portable and easily fold to allow for compact storage and transportation. They are designed to keep your child safe from possible suffocation.They are made of soft material, very washable and easy to maintain. The most common used materials vary from cotton and polyester. They are designed to zip up at the bottom and the sides. They easily open flat on a bed. Most of them come with a detachable matching pillow and a storage bag. Get one of these cute bags for your little princess. 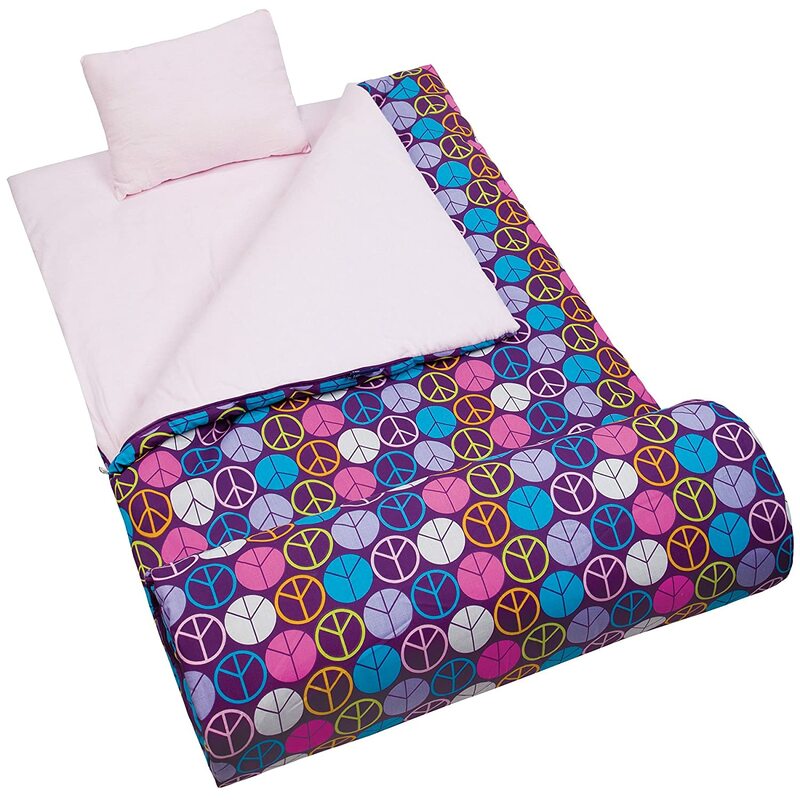 They have bright colors, lustrous patterns, and designs that are appealing to the kids. Each of them comes with a matching cute pillow and a storage bag. They measure 66 inches long and 30 inches wide. The exterior features cotton/polyester fabric material. The interior is lined with soft cotton lightweight material. They are filled with 100% Polyester. They are designed for girls aged 3 years and above and up to 5 feet tall. They are flame resistant and free from lead, BPA, and phthalate. This colorful bag comes with a matching cute tote, a pillow, and a pillow case. It is ideal for indoor use by kids aged over 3 years. The exterior thick fabric is cotton and polyester blend. The inside is lined with 100% soft cotton flannel. This bag has been filled with plenty of very soft batting. It is machine washable and free from phthalate lead and BPA. 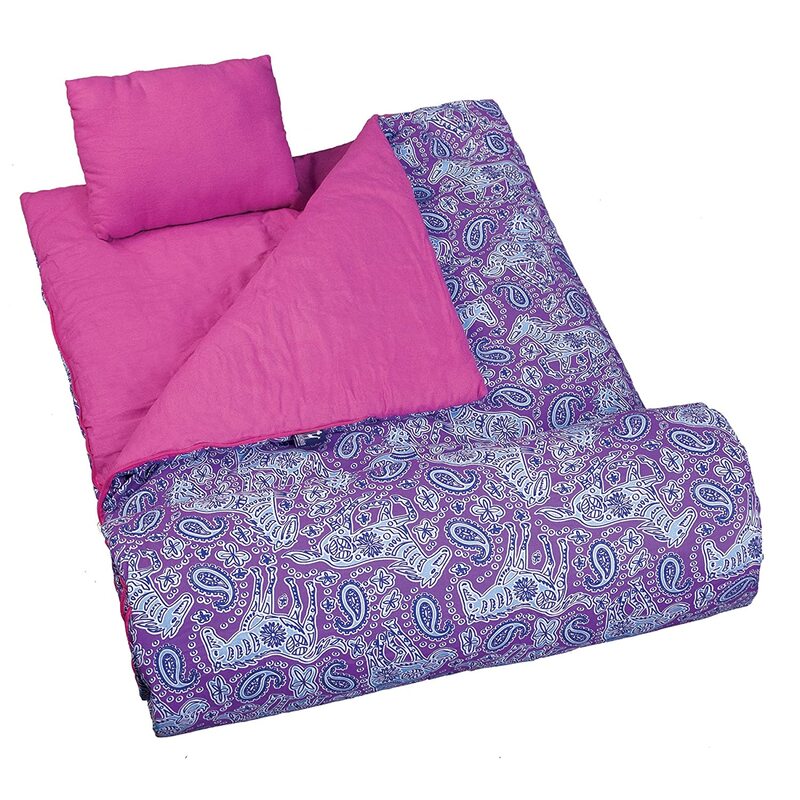 It measures 30 inches in width and 66 inches in length.This is designed with a rectangular shape for maximum roominess as well as comfort. These durable bags are great for toddlers from three years of age and up to five feet tall. 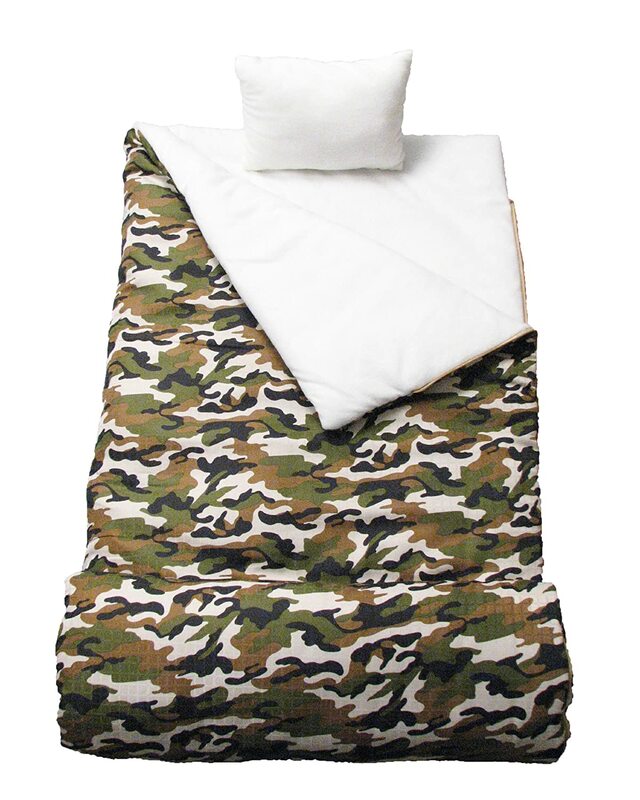 They are visually appealing and come with patterns such as army camouflage, flowers, and cartoon characters. They have been manufactured with kid-safe and nonflammable materials. The outer fabric is polyester and cotton. The soft inner lining is made of cotton. They are machine washable. They measure 30 inches in width and 66 inches in length. They have not been treated with chemicals and therefore safe for use by children. This cute designed bag has a plane, train and truck characters. It is designed for use by kids aged 4 to 12 years. It features breathable cotton flannel as the interior lining and polyester /cotton exterior fabric. It measures 1.5 inches in height by 66 inches in length and 30 inches in width. It has not been treated with toxic flame retardant chemicals. It comes with a travel sized pillow. Children should be encouraged to wear clean clothes when sleeping in these slumber bags to avoid dragging dirt into them. Remember to air them every day after use so that you can dry any moisture.When it is time to clean them, follow the manufacturer’s instructions. Store them properly when not in use. With kid slumber bag, your child can have comfortable bedtime adventure anytime and anywhere.